Sometimes it's nice to get a big thank you from someone who has directly benefited from the knowledge that we try to share. 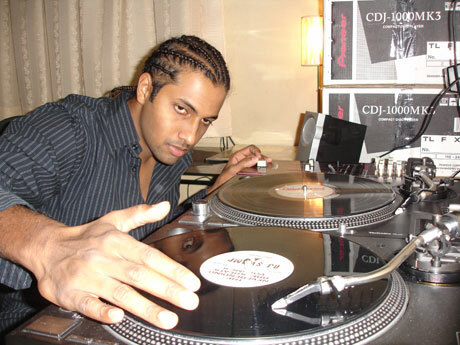 In this particular case, our (and when I say our I mean the skratchworx/lounge collective) knowledge has helped the current DMC India champion DJ Kave hone his skills and get himself to the World finals next weekend. He took the time to thank a few people in the skratchlounge and in response, I want all of you going or even watching via the Plusstream feeds to show some very loud and noisy love for DJ Kave. It's nice to have one of our own to spur on to big things. KAVE KAVE KAVE KAVE!! C'MON!!!! Something for the DMC weekend sir? Last year, the DMC Finals coincided with PLASA, meaning that I got to hang with several scratch VIPs and eventually get denied admission to the aftershow party. So this year, I'm shunning London village in favour of the newly refurbished skratchlab and will be viewing the goings on from the comfort of a large leatherette office chair with a bottle of Scrumpy Jack for company - via the medium of Plusstream technology. 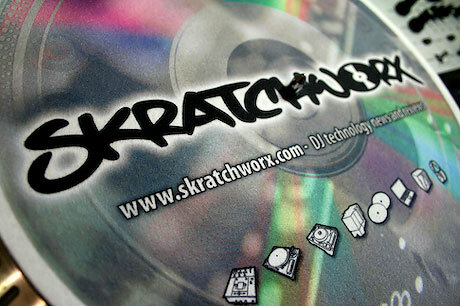 2 updates to skratchworx. Firstly from a navigation point of view, clicking on the skratchworx logo at the top of any page brings you back to the news page (thanks for pointing that out KD). And embracing the RSS feed malarky, the skratchworx RSS feed is now available via Feedburner, which means it works properly. So get hip daddio and hang with the hep cats - subscribe today. Is it just me, or has QBert's DNA been harvested and a clone scratch army is being prepared to take over the world? Or has the QBert Dunny come to life? Either way, what follows is either awe inspiring or utterly demoralising. This is 8 year Old DJ Sara and 5 year old DJ Ryusei, who for ones so young, would possibly kick most of our butts with scratching. You'll have noted the chronic lack of cart reviews on skratchworx. Shure have had a total monopoly on cart coverage up to now, but that's about to change. A series of Stanton reviews will be gracing the reviews section very soon but to kick it off, we've got an HTFR exclusive cart - the aptly named Stanton Diablo cart. For anyone who has experienced the pocket sized joy that is the Korg mini KP, you'll understand how it won the DJ Mag best effects unit award, trouncing even the almighty Pioneer EFX-1000. 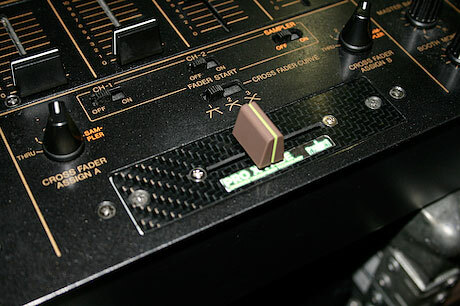 The diminutive theme continues, building on Korg's synthesiser heritage and giving DJs more music based tomfoolery for very little money. 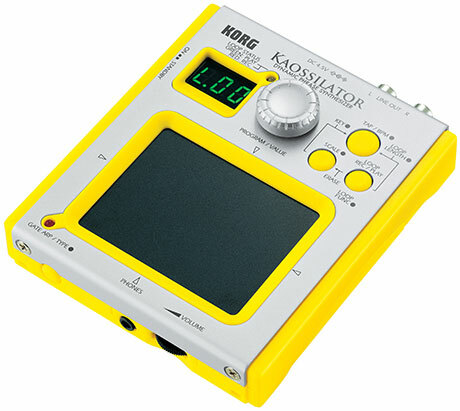 Welcome the KAOSSILATOR. Oh jeeez - another slipmat review. I hear the collective groan of the scratchernet from the comfort and safety of the skratchlab. But wait - there's a very good reason for this and that's price. I'm sure you all want custom slipmats but don't want to pay out big cash for a pair right? Well the good people at thirtythreefortyfive bring you custom mats but for half the price you'd expect to pay. Based on last years overwhelming showing from the French in the shape of scratch boy band C2C, and the ground breaking performance from Netik, you'd be forgiven for thinking that this year's show might be a bit of a foregone conclusion. Hardly worth turning up if those guys are there defending their crown. But they're not. That's right - for whatever reason (probably coining mad loot from playing out), nobody is defending their crown this year. So the DMC 2007 World Finals is an open house this year - new champions will be crowned. Not everything at PLASA can be seen by just anyone. 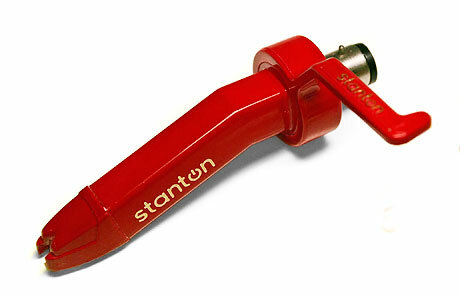 Being a trade show, deals are made behind closed doors, that for some of us are opened to view the goodies inside. 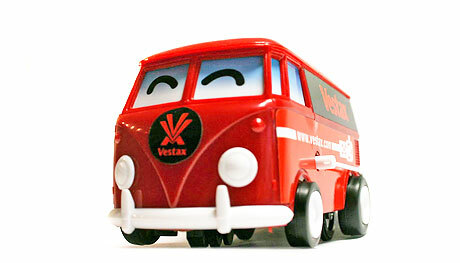 Such was the scene with Vestax. Nothing brand spanking new was on display, but I did get some more info and snapped some more shots of stuff I've teased you with in the past. 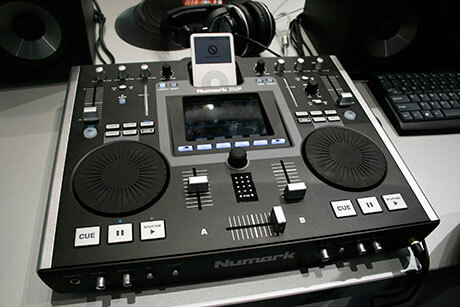 If you wanted a fix of digital voodoo, the best place to be was the Numark/Akai/Alesis stand where probably just about everything had a USB port or an iPod plugged into it. Lots of laptops, big screens and a smattering of IDJ2s saw the stand heaving with eager bodies most of the time, much to my annoyance. It's been a loooong time coming, but PLASA was the first time a working PXF2 had been seen in action, in this case grafted into a Pioneer DJM-600 - and it felt mighty good to me. I'm sat here on the 7.30pm train back to Leeds feeling somewhat deflated, not easily finding the words to describe what just happend. 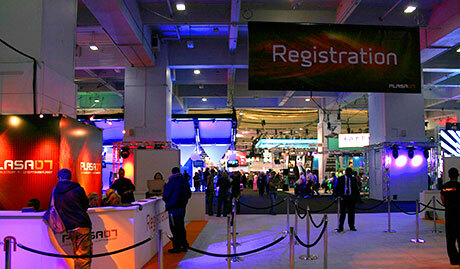 PLASA used to be an adventure - 2 or 3 days in London seeing all the hot new gear that various manufacturers had been saving up just for this show. I'd come away with a full camera and a few videos to upload. This year however, it's become clear that DJs are a dirty word - the unwelcome sweaty old uncle at the dinner table who just gets invited out of obligation. Yes I saw "stuff" - good stuff at that, but this for me has been overshadowed by seeing the former glory days of PLASA become a distant memory. 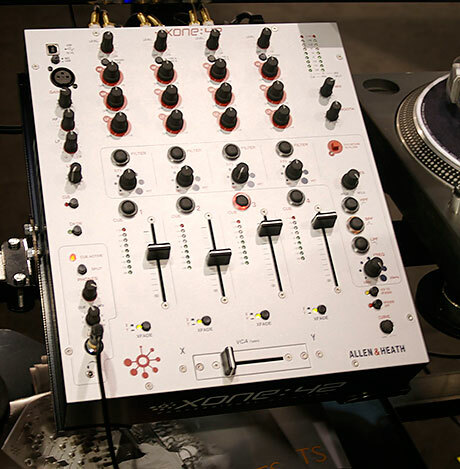 In the DJ trade show calendar, there have been 3 big shows - NAMM in January, MusikMesse in March and PLASA in September, and of course, we've done out best to bring you the best coverage we can from each on these shows. But in recent years, despite being UK based and obviously much nearer for us UK heads to get to, PLASA has lost some of its buzz and pull. 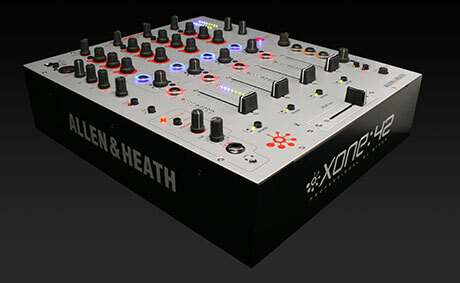 DJ companies are certainly thin on the ground this year with only one new product announcement from Allen and Heath - so you'll forgive me if I don't mess my pants with giddiness in the usual way as I head down to London Village on an already late train. It's PLASA time but new product seems to be a tad thin on the ground this year but Allen and Heath are keeping the UK flag flying with a new 4 channel USB mixer with some effects magic going on. Enter the xone:42. Think of the word "epic"... what does it conjure up for you? Ben Hur, War and Peace, David Beckham's pay packet perhaps - but now there is a whole new definition for this word, one that will replace standard dictionary definitions around the world. It's taken too long to get here and has taught me many lessons along the way, but finally I give you my Traktor Scratch review.